Riskay is a beautiful, black baldy bred female. 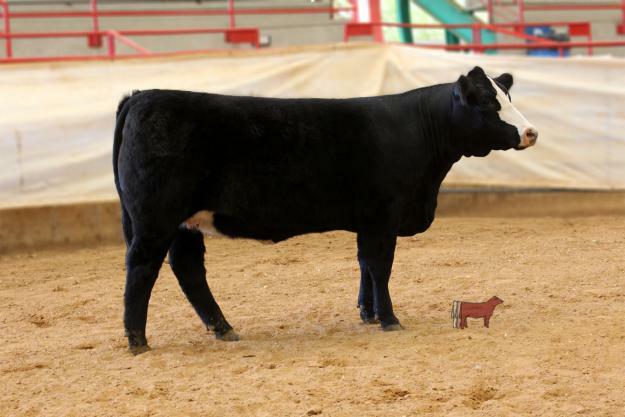 She is sired by the well-known Built Right bull and out of Double M's leading Donor Anagram Renaissance. She sells safe in calf to Mr NLC Upgrade U8676. For more information call 903-962-6915. Consigned by Ellie Thomas.